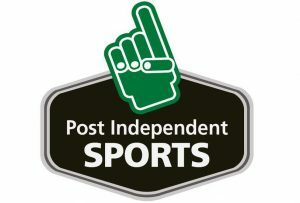 On the road at Eagle Valley High School for a 4A Western Slope League game against the host Devils, the Glenwood Springs Demons’ boys soccer team picked up a big 4-0 win Thursday night in a lightning-delayed game, bouncing back from two straight tough losses in league play to get back on track. Tied at the half 0-0, the Demons came out in the second half and found their stride offensively, as senior Clayton Horning scored two goals on assists by seniors Axel Garces and Finlay Roberts, while junior Leo Mireles scored a goal on a penalty kick, leading to the game-clinching goal by senior Alonso Pacheco late in the second half. In net, sophomore goalkeeper Carlos Guardado had a great night for the Demons, stopping nine shots from the Devils to give Glenwood the shutout win. Sitting at 3-2 (2-1 4A WSL) on the season under head coach Wayne Smith, the Demons will hit the road Saturday evening for a matchup with the Fruita Monument Wildcats at Walker Field on the campus of Colorado Mesa University. 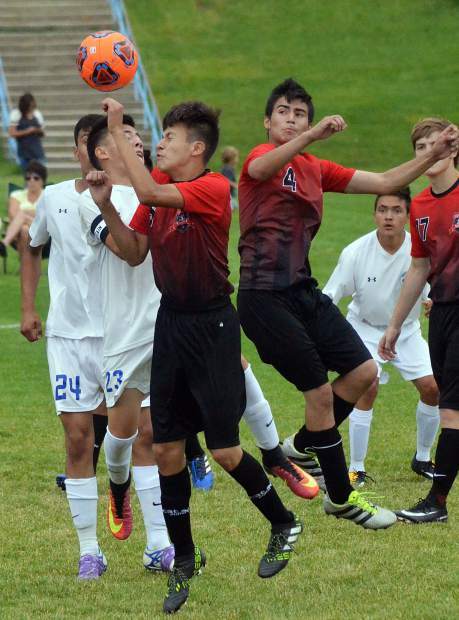 Taking on the Moffat County Bulldogs Thursday afternoon on the road, the Grand Valley Cardinals’ boys soccer team recorded a 4-2 win as senior Angel Garcia scored all four goals for the Cardinals. Against the Bulldogs, Grand Valley held a 2-1 lead at the half before scoring two second-half goals to cap off the road victory to improve to 3-1-1 under first-year head coach Rick Van Vleet, who has the Cardinal program heading in the right direction. Coming off the win, Grand Valley travels to Rifle Saturday morning for a nonconference matchup with the Bears at 11 a.m.